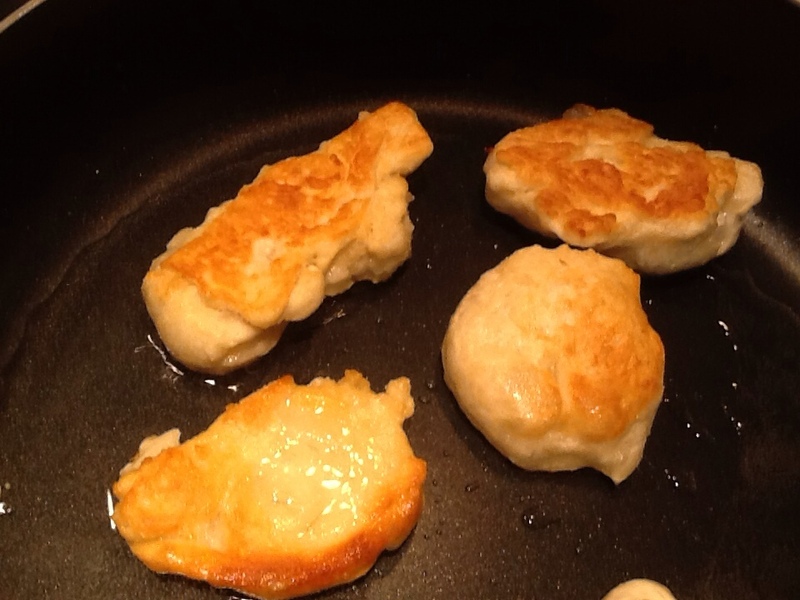 Pizza Fritta – or as we call it, Pizzetti | ARTZCOOL'S BLOG! I tried googling this, but came up a little more confused on what I should call this… so I am just going to call it what John’s mom calls it. Since she is actually from Italy, (and since she is my mother-in-law) I’m sticking with her name of Pizzetti. And besides, when she makes it, it is delicious! 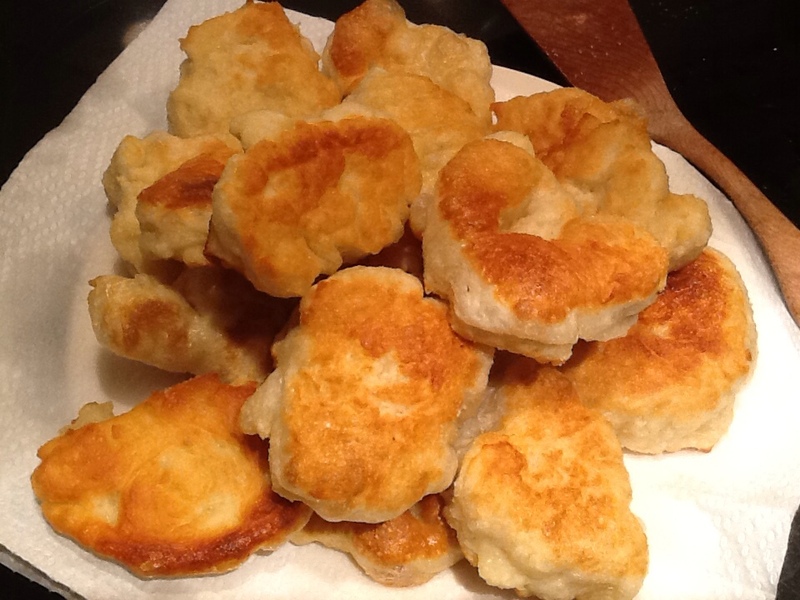 What I am talking about is fried pizza dough. Whatever you call it, it is delicious, and pretty easy! 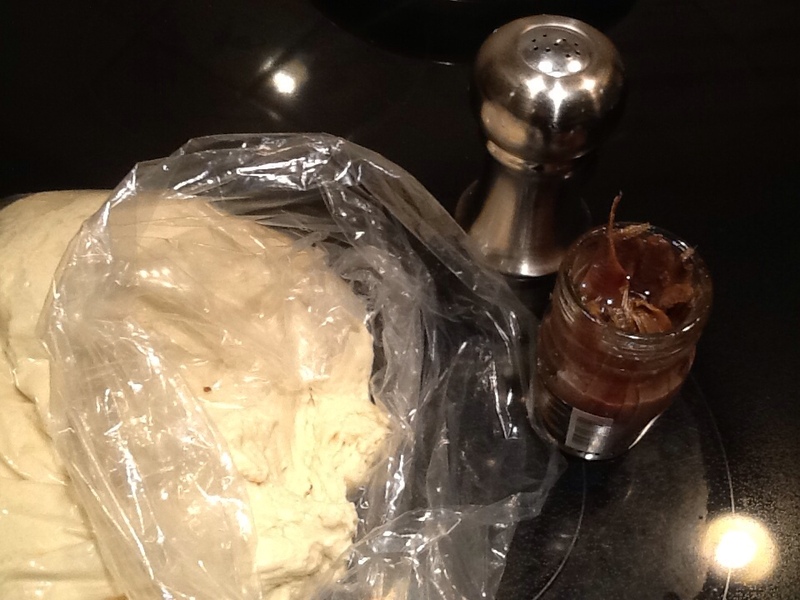 All you need is some canola oil, pizza dough, and salt, and if you are a little more adventurous, some anchovies. 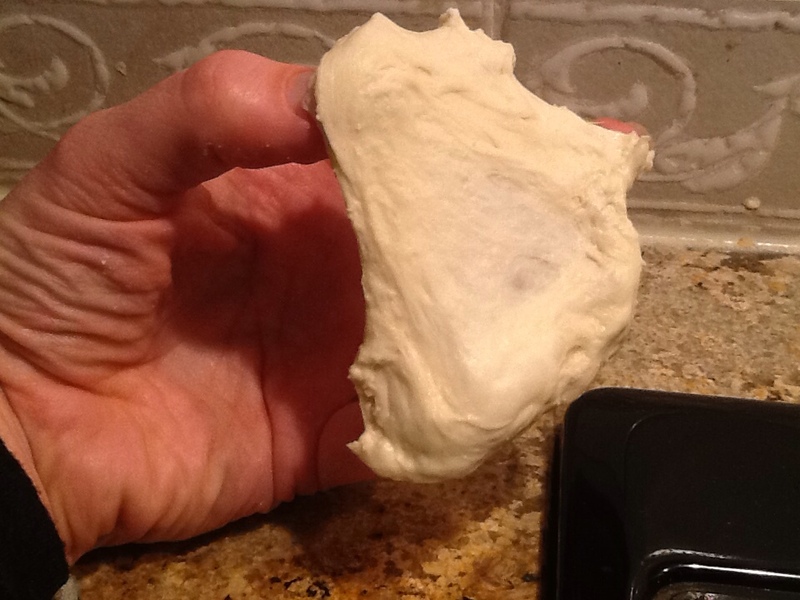 I guess you could make your pizza dough from scratch if you wanted to, (which John’s mom does sometimes) but this still tastes delicious with store bought fresh pizza dough. Start by pouring enough Canola oil to cover the bottom of your frying pan, and give it a few minutes to heat up. Then, drop them in the pan, and sprinkle them with a little salt. Let them cook until they are golden brown. And, flip them over to brown the other side. That’s it! Once they have browned on both sides, sprinkle a little more salt on and I let them cool on some paper towels. Hey, if you are frying pizza dough, it’s not like you can even pretend it is healthy, so just add a little more oil and enjoy! Make sure you serve these warm! They don’t taste the same at all cold. You can make them ahead of time and warm them up in the toaster oven. 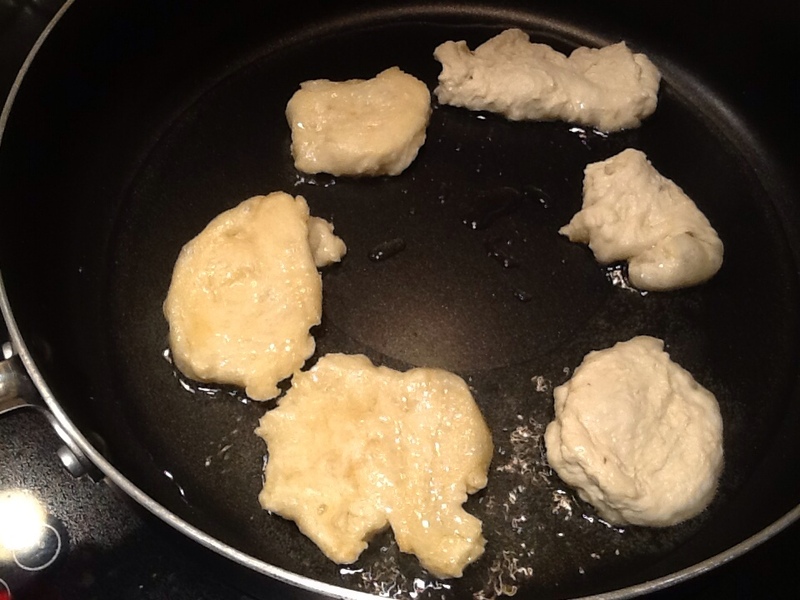 I used to make “beaver tails” (aka “elephant ears”) using homemade dough. They were cumbersome because they were so big. 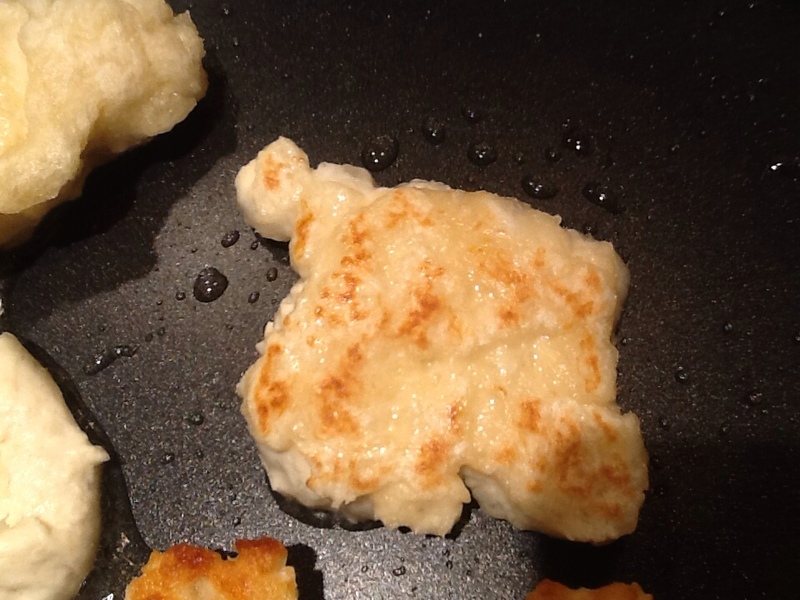 I can’t believe I didn’t think of doing your pizzetti idea – smaller pieces! Sometimes the obvious is so…obvious!